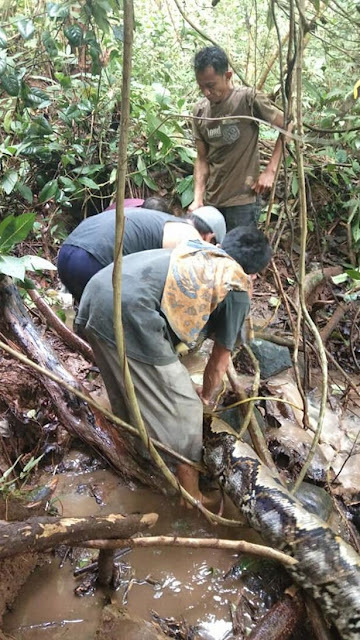 A fisherman was out catching eels when he stepped on what he thought was a log - but the log moved and he realised it was an enormous python. 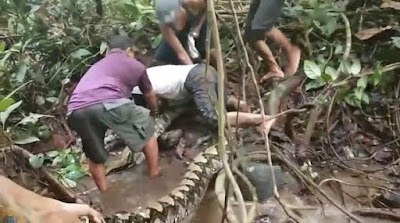 The giant snake then goes into survival mode and instinctively wraps itself around one of the men's ankles. 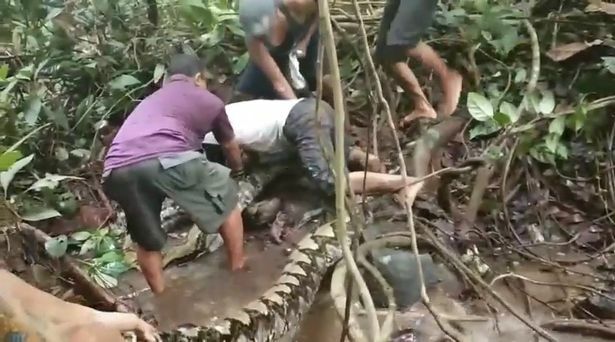 Six men spent several minutes trying to overpower the 100kg reptile - trying to hold the snake's mouth to stop it from biting.